Chicory has a symmetrical shape and a fresh appearance. The leaves are undamaged, there are no colour deviations and the top is well closed. The head is firm. The outer leave reaches to at least ¾ of the head’s length. The base of the head is cut off evenly and looks fresh. The environmentally friendly cultivation method is guaranteed through cultivation registration and monitoring. 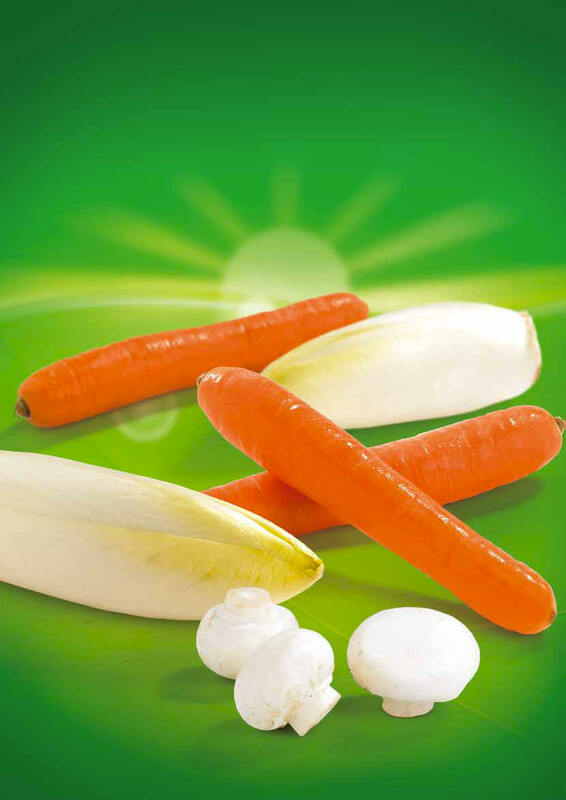 Carrots of Demargro are of an excellent quality, are well formed and fully grown. The carrots are straight, intact and free of cuts, cracks and frost damage. Belgian carrots have the typical colour of the variety and are free of green, purple or violet discolorations on the upper part. Bunch carrots furthermore have firm fresh green leaves. Mushrooms are firm, fresh and free of strange odours or flavours. The mushrooms do not have brown spots and do not have a film or scales. Mushroom are chilled at a temperature of 1 to 2°C. The product is sensitive to draughts and drops of water. Flanders (northern Belgium) has by nature the ideal climate and the perfect soil to cultivate slowly growing cabbages and celeriac. 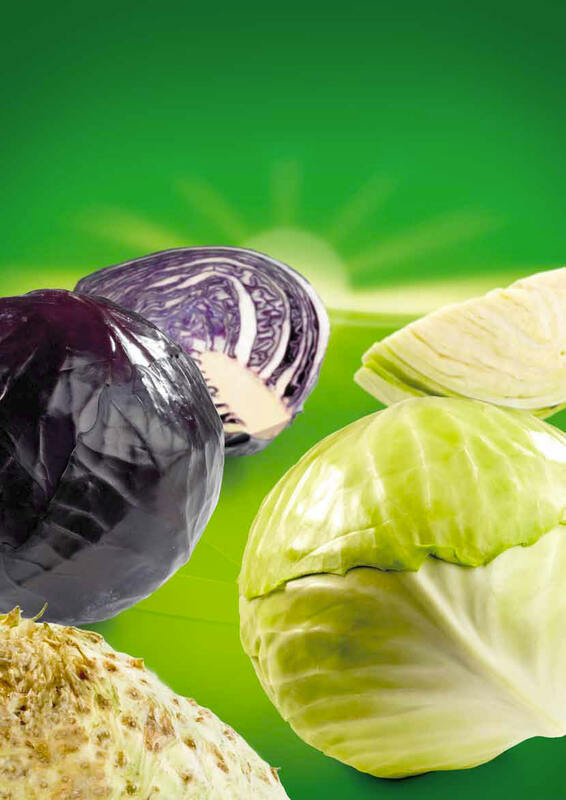 It goes without saying that Demargro offers several kinds of cabbage of the highest quality. Cauliflowers with a uniform white colour and a fresh leaf. Similarly shaped flowers all over the surface with a firm granular structure. Broccoli, well developed and uniform in shape, with firm flowers and a compact granular structure. Cauliflowers are best kept at a temperature of 2 to 3°C, broccoli at 1 to 2°C. Both cabbages are best kept at a relative humidity of 90-95%. White cabbages, green cabbages and Savoy cabbages are firm and intact, with a firm structure, uniform in shape and size and free of frost damage. White cabbages are white green in colour. Red cabbages are dark red to purplish red in colour. Savoy cabbages have a light green head and a dark green outer leaf. Red cabbages, white cabbages and Savoy cabbages are best kept at a temperature of 0 to 1°C. During stacking the cut-off face may not touch the outer leaves of another cabbage. Celeriac has a fresh appearance with or without leaves. The bulb is well developed and has a regular shape. The bulbs are firm and are dry to the touch. The roots have been cut off at the bulb. Celeriac has a uniform white colour on the inside. 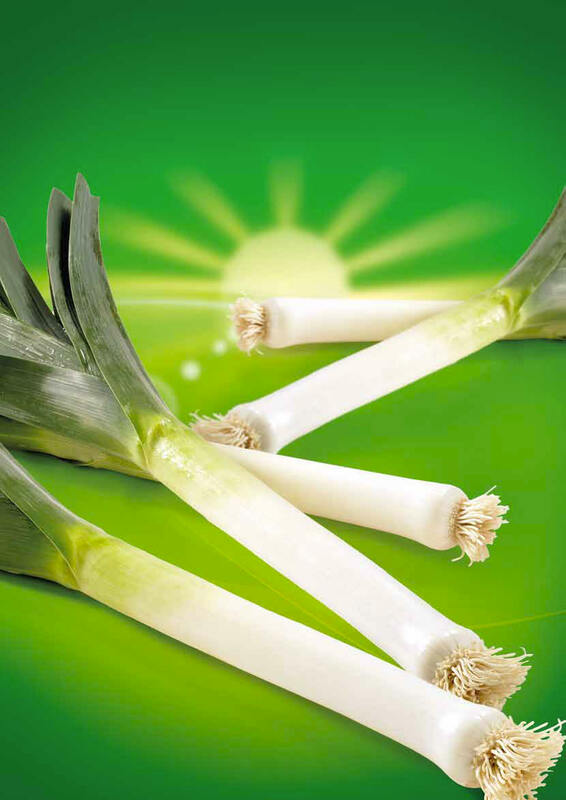 Demargro is the leading specialist in Belgian Flandria leek. It is Demargro’s most important export product during the winter months. The leaf of the leek is dark green and the roots are cut off evenly. The white part of the stem is perfectly straight and smooth. Leeks are best kept at 2 to 3°C and at a relative humidity of 90-95%. In cooperation with a machine designer, Demargro has developed a completely new packaging machine for packaging leek in net bags. The traditional gunny sack was replaced by a completely new concept. This application makes it possible to print all desired customer information on the packaging.